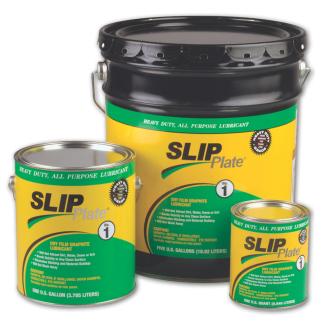 SLIP Plate® products help to reduce equipment down time, and reduce premature part failure where sliding or rolling friction is high. Many current “wet” lubricants and greases tend to attract and trap dirt, stones, and other grit, which under extreme pressure will score and damage metal parts, leading to excessive wear and part failure. 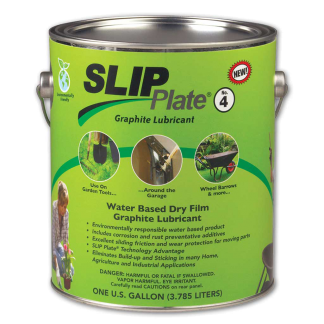 SLIP Plate® dry-film technology will not attract dirt, dust, or grit and will not be affected by rain, water, ice or snow. Dry film coatings also will not be squeezed out of tight tolerance assemblies, and will lubricate under temperature extremes. 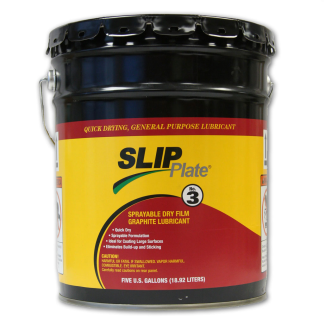 SLIP Plate® No. 1 and No. 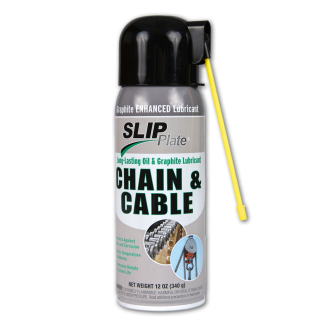 3 products also have the ability to coat large surfaces of skid steer buckets, tools, dump bins, digging equipment and trailers to reduce carry back and bridging of materials. In creating a highly lubricious surface, graphite being naturally hydrophobic, will not be affected by wet materials. In addition, since graphite is a natural, solid lubricant it will work into the surface features of the metal to effectively reduce sliding friction even when the visible coating is gone. 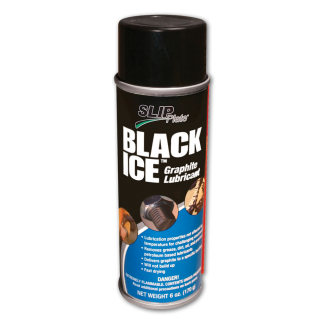 Superior Graphite Co.’s family of aerosol products (SLIP Plate®, Chain & Cable, Penetrant Plus, and Black ICE™) provide necessary lubrication of equipment assemblies, nuts and bolts, screws, cables, chains, hinges, and many other parts that require normal maintenance for proper operation. 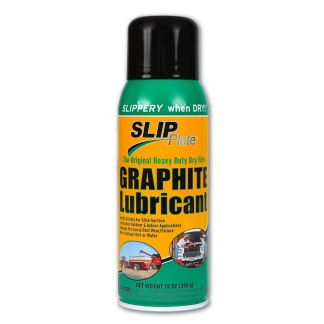 Graphite aids in protecting threads from premature wear and failure, and SLIP Plate® has exhibited some corrosion inhibiting properties where many wet lubricants fail over time.